By 2025, it's expected we'll see 10 percent of U.S. electricity generated by solar power. Certainly that's welcome news as a means of cutting down on our carbon footprint. However, as with wind energy, the true environmental impact of solar must take into account the recyclability of its materials. Though the vast majority of solar modules (or panels) have yet to reach their 20 to 25 year lifespan, now is the time to put sustainable recycling programs in place so to ensure responsible disposal in the near and distant future. 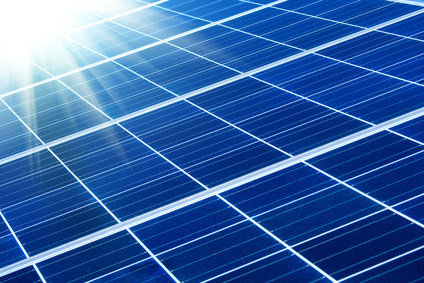 Why is Solar Finally Poised to Provide Such a Significant Portion of U.S. Electricity? What Toxic Materials are Solar Modules Made From? What Recycling Programs Currently Exist for Solar Modules? How are Solar Modules Recycled? Why Aren't There More Solar Module Recycling Programs? What is the Best Way to Ensure Responsible Recycling of Solar Modules? Lead, which is present the oldest and most widespread solar technology - crystalline photovoltaic, representing 57 percent of the U.S. market. Cadmium telluride, which can be carcinogenic and represents 21 percent of the U.S. market. Copper indium gallium selenide (CIGS), which also has a cadmium layer. Both the indium and selenide are potentially hazard and represent 6 percent of the U.S. market. Amorphous silicon, which has an indium tin oxide layer, and represents 16 percent of the U.S. market.